Three pop-up animal friends reward baby for pressing the button, sliding the switch, or turning the dial! Baby?s actions ?hatch? 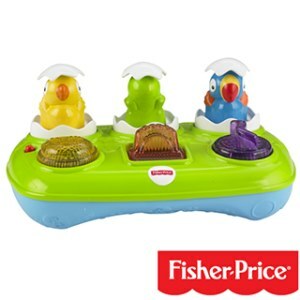 a pop-up chick, turtle, or toucan, with lights, fun sounds and music?teaching baby about cause & effect, introducing baby to animals that hatch from eggs, encouraging development of fine motor skills, and more! 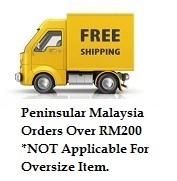 Requires 3 AA batteries.
? Pressing the button, sliding the switch and turning the dial help baby develop fine motor skills & eye-hand coordination!
? Lights, sounds and pop-up animals reward baby?s actions, encouraging baby to play and learn, and teaching about cause & effect!
? 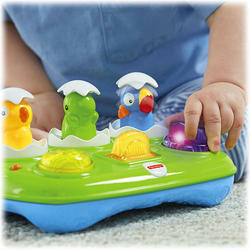 Lights, bright colors and fun sounds stimulate baby?s developing senses! Recommended Age : From 6 Months to 3 Years Old.